Bita is a seasoned pension actuary with over 30 years’ experience providing strategic advice and guidance to public and private sector organizations on retirement and employee benefit programs. Bita is the founder of RetirementWorks, a company focused on providing plan governors and members with independent, unbiased consulting services in the areas of governance and financial education. 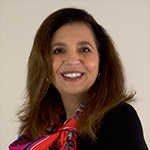 Prior to RetirementWorks, Bita was a Partner at a prominent human resource consulting firm, where among other responsibilities, she led the firm’s national financial planning practice. Bita holds a Master of Science degree in mathematics from the University of British Columbia and is a Fellow of the Canadian Institute of Actuaries and the Society of Actuaries, as well as a Certified Financial Planner. 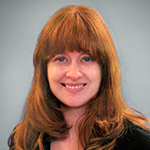 Karen is a pension actuary, expert in the design and funding of all kinds of pension arrangements. Now retired, she continues to apply her expertise to educate individuals considering the various aspects of retirement, both financial and lifestyle. Prior to retirement, Karen held senior positions with prominent human resources consulting firms, providing actuarial consulting services to clients. She also spent several years as head of international HR for over 600 employees. Karen has thirty-five years of professional experience in the areas of pension actuarial consulting, flexible benefits consulting, senior management and HR leadership and is the author of the book Risk Management Strategies for an Aging Workforce, available on Amazon. 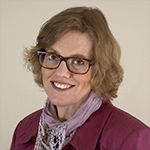 Karen has a Bachelor of Science in Mathematics, a Master of Arts in Leadership and was for many years a Fellow in both the Society of Actuaries and the Canadian Institute of Actuaries. Sarah is a bilingual graphic designer with more than ten years of experience providing freelance design services to a variety of industries. During this time, she spent more than seven years working in corporate marketing. This afforded her the opportunity to gain expertise not only in planning and deploying successful marketing campaigns from start to finish, but also the know-how to evaluate and improve them using data culled from web metrics. She was responsible for designing high-concept presentations for senior leadership and generating graphics for print and online use throughout all Canadian offices. In 2013 her team received Aon’s Global Interactive Marketing Award in for best integrated marketing campaign. Sarah has an Honours Bachelor of Science in Psychology and a Diploma in Digital Graphic Design.